Non-Stop Bloom with No Effort! The first annual flowers only bloomed all summer if deadheaded. Annual flowers have been popular since the mid-nineteenth century when gardeners discovered that these plants had the ability to bloom all summer… if they removed their faded flowers regularly, a technique called deadheading. If they let the annual “go to seed”, its flowering ended quickly, but if they cut the fading flowers off, it would continue to bloom until September. That’s because, when a wild plant begins to produce seeds, this usually stimulates the production of a hormone that tells the plant to stop blooming and to instead devote its energy to seed production. However, if you remove the flowers before this signal is sent, the hormones that stimulate flowering continue to circulate. That’s why for generations gardeners have grown accustomed to deadheading their annuals in order to ensure bloom all summer. But today’s annuals are not the same as those cultivated in 1850. To start with, many new annuals have been added to the home gardener’s palette since then, including a few that are naturally long- or even everblooming, such as wax begonias (Begonia x semperflorens). 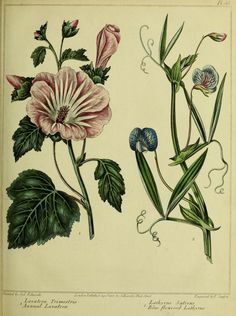 But above all, most of the old-fashioned annuals have changed considerably over the years: in color, size, shape… and habit. By always harvesting the seeds of the most floriferous plants, generation after generation, gardeners have slowly developed varieties that rebloom whether they are deadheaded or not. Thus the majority of modern annuals – zinnias, cosmos, pelargoniums, etc. 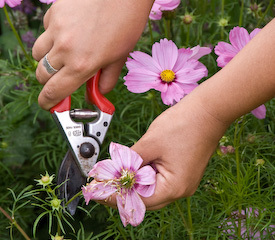 – flower abundantly all summer and few need any deadheading. And the situation continues to improve yearly. ‘Matrix’ is a heat-tolerant pansy that can bloom all summer. For example, have you tried one of the modern strains of pansy (Viola x wittrockiana) lately, such as those in the series Panola, Matrix, Dynamite or Universal Plus? Where older lines stopped blooming when it became too hot only to to resume in the autumn, with the return of cooler weather, modern lines continue to flourish, often right up until frost, not slowing down in the least. Another plant that has recently switched to the non-stop-bloom-without-deadheading category is the petunia (Petunia × atkinsiana). And that’s excellent news, because removing faded flowers from petunias, with their disgustingly sticky stems, was never much fun. 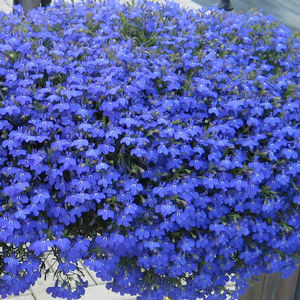 Self-cleaning petunias that bloom continuously without deadheading have been on the market for about five years now and are beginning to push the old varieties out the door. You’ll discover that seed companies are gradually replacing older varieties well known to gardeners with look-alikes that bear the old name plus “Improved” or “Select.” Or sometimes, they don’t even change the name, but simply sell the improved variety under the original name. Yesterday’s Supertunia® line, for example, needed a serious clean-up in mid-summer, but the Supertunias you find on the market today just go on and on. Before buying a petunia, always ask the seller for a variety that doesn’t need deadheading. And until only a few years ago, I still used to advise gardeners to cut back sweet alyssums (Lobularia maritima) and edging lobelias (Lobelia erinus) back by half in the middle of summer, just as their flowering started to weaken. This reboots their “time to flower” hormones, stimulating them to bloom anew and ensuring flowers for rest of the summer. But since 2009, I no longer give the same advice. Sweet alyssum ‘Blushing Princess’ blooms from April to December without any pruning. 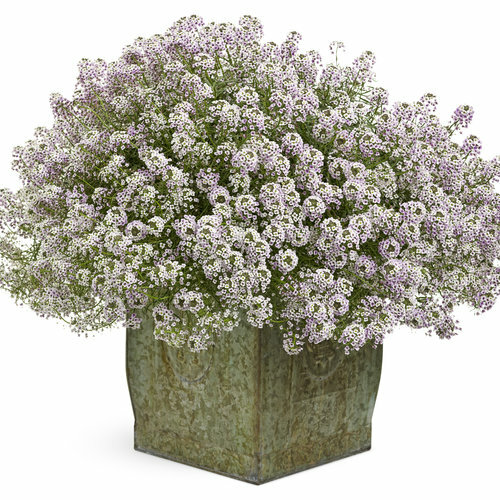 That was the year when the first hybrid sweet alyssums (Lobularia x hybrida) reached the market. These plants (found in such series as Knight, Princess and Stream) bloom faithfully all summer and beyond, almost until Christmas, without any deadheading or pruning. That’s because these new sweet alyssums are sterile and, since they produce no seeds, don’t receive the usual hormonal signal telling them to stop flowering, Instead they devote their energy to flower production. Thus they bloom on and on until frost kills them. At about the same time, the first hybrid edging lobelias (Lobelia x hybrida), also sterile, came on the market, including the series ‘Lucia’, ‘Laguna’, ‘Techno Heat’ and ‘Waterfall’. And again, since they don’t receive the hormonal signal to stop blooming, they also flower all summer. 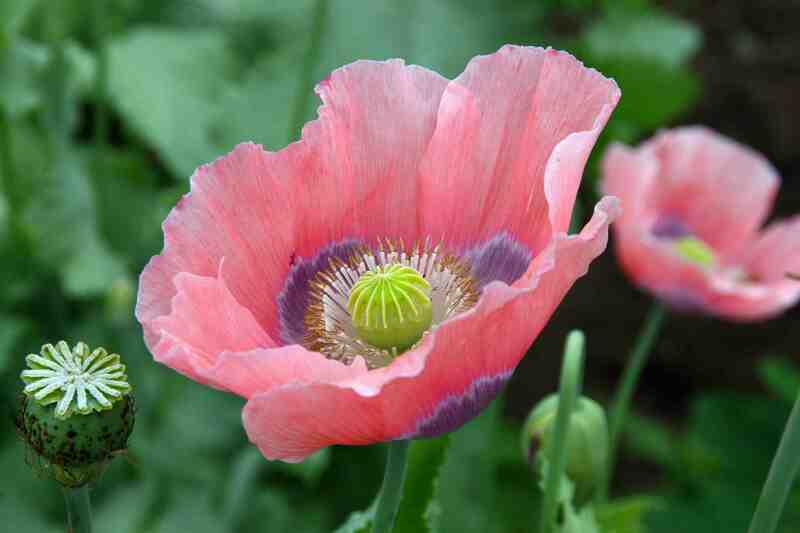 Opium poppies won’t rebloom whether you deadhead them or not. There are still some exceptions to the rule that modern annual bloom all summer even without deadheading. Annual poppies, like the Shirley poppy (Papaver rhoeas) and the opium poppy (P. somniferum) flower only once, at the beginning of summer, whether you deadhead them or not. And larkspurs (Consolida spp.) do the same. But these are exceptions to the rule. Today, it is clear that the vast majority of annual garden bloom will all summer, even if you don’t remove their fading flowers. The workhorse gardeners like to remove spent flowers, even when it gives not results. Obviously I’ll never convince the hardest-working gardeners to stop deadheading their annuals: they are so convinced that gardening is hard work, they simply never believe me when I suggest it doesn’t have to be so. However, if you have just a few laidback gardener genes flowing in your veins, try the following technique this summer just to see. Plant your annuals, then sit back and watch them grow and bloom, getting up only to water them in times of drought. You’ll be amazed to see most of them bloom all through the summer without any effort on your part!